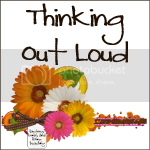 Please welcome Jana from Thinking Out Loud as a guest blogger today! She is bringing you some FREE writing resources that I know you will find SUPER USEFUL! We are lucky to have such a talented teacher sharing with us today! Hello, everyone! I am Jana from Thinking Out Loud. I am thrilled to be here today as part of the Top Teachers Stuff Your Files Event! Thanks, Leanne for the fabulous opportunity! Today, I want you to be able to stuff your writing files. As the school year begins, you want to get a feel for the skills your students have and need to work in writing. One way I accomplish this is through a writing prompt. Typical beginning of the year writing prompts ask about summer break. My students always complained that they didn't do anything over the summer. Writing prompts can also be a little boring. I don't want the beginning of the year to be boring, so I jazzed up my writing prompts with pictures to create (you guessed it) picture writing prompts. 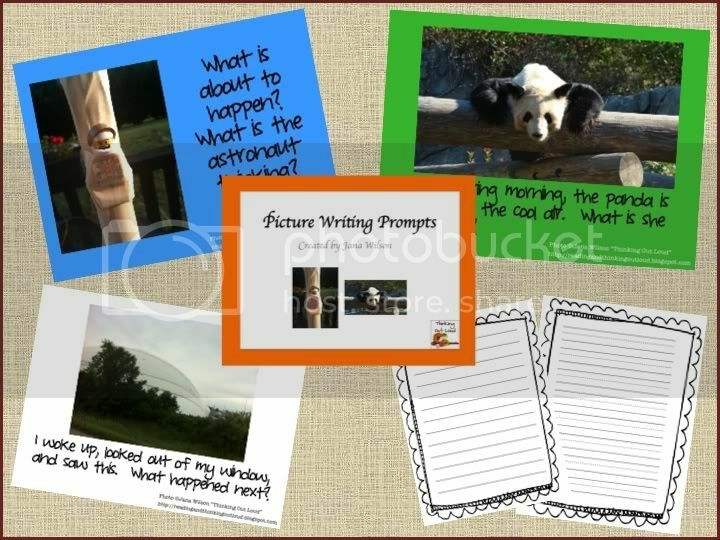 The pictures also help those students who need a little extra nudge to begin writing. Above is an example of one of the writing prompts in the following packet. The packet has the writing prompts with a background color for projection. The same prompts are on a white background, so they can be printed without using all of the printer ink. The packet also included writing stationary for the students to use. Click on the picture below to get your own writing prompt packet. 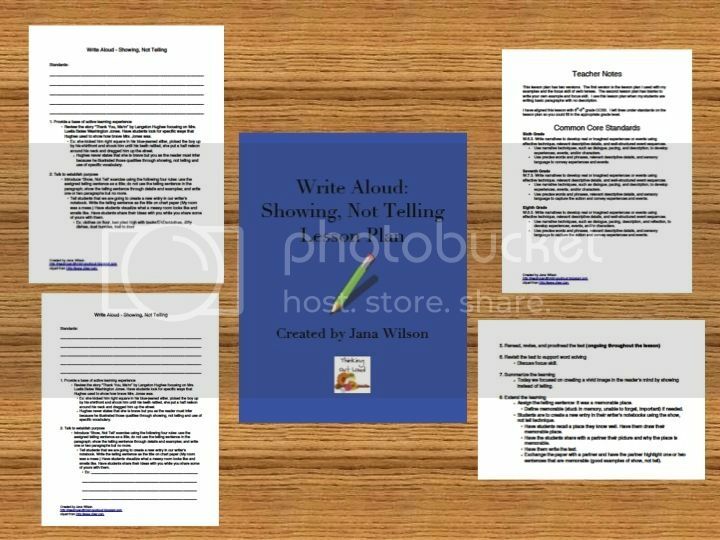 Depending on what grade you teach, the following files will help you improve your students' writing once you have assessed them. The first is for lower elementary students who need to write complete sentences. 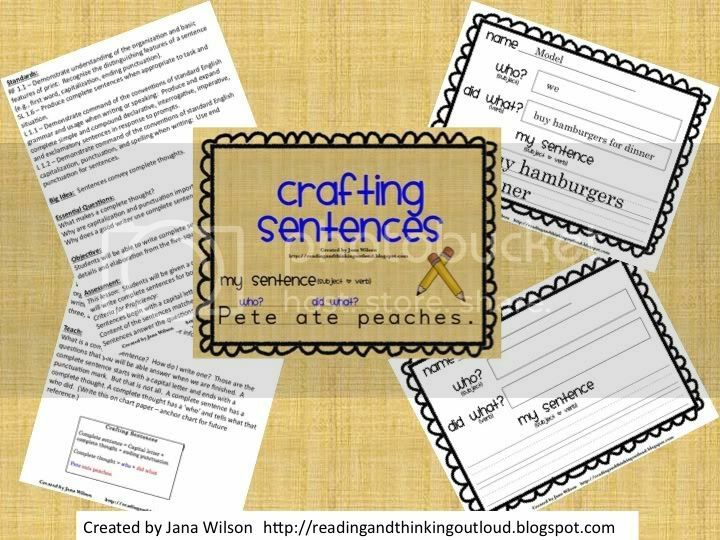 Last year I worked with first grade students and used the Crafting Sentences activity below to help them learn to write a complete sentence. I have also taught older students. These students where able to write in paragraphs, but the paragraphs were boring. My students were just telling me what was going on in the story instead of showing me through descriptive language. I used this lesson (Show, Not Tell) to model writing a more descriptive paragraph that created vivid images in the reader's mind. It has been a pleasure sharing some writing resources with you. Thanks again, Leanne, for having me!